Named after the great 18th century actor-manager David Garrick, whose portrait hangs in the foyer bar, The Garrick is a fantastic piece of late-Victorian kitsch, originally financed by WS Gilbert. The interior is decorated like a Renaissance palace, all cupids and laurels, with hardly a smooth surface visible among all the moulding, gilt and classical statues. In recent years this venue has played host to a number of hugely popular shows including the Lieutenant of Inishmore and Tommy Cooper tribute Jus' Like That. Since long-running drama An Inspector Calls moved out in 2001, The Garrick has proved to be something of a magnet for Hollywood starlets, including Jake Gyllenhaal and Anna Paquin in Kenneth Lonergan's celebrity brat-fest This is Our Youth and Julia Stiles in David Mamet's Oleanna. What are the best dining options near Garrick Theatre London? Garrick Theatre gyms, sporting activities, health & beauty and fitness. The best pubs near London Garrick Theatre. 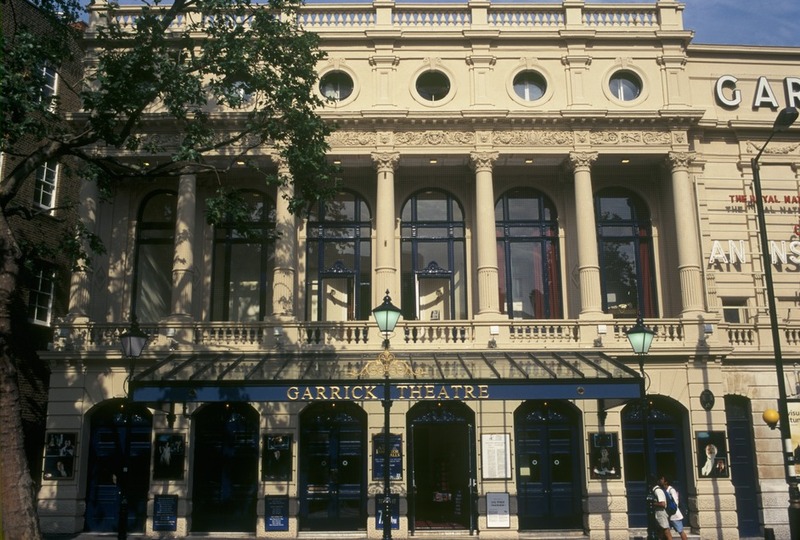 Garrick Theatre clubs, bars, cabaret nights, casinos and interesting nightlife. Where to have your meeting, conference, exhibition, private dining or training course near Garrick Theatre. From cheap budget hotels to luxury 5 star hotels see our discounts for Garrick Theatre hotels, including Radisson Blu Edwardian Hampshire Hotel from 89% off.